If you want to find something fun to do beyond NY consider visiting the New Jersey shore. Just a short distance away you will find plenty of activities and attractions at the NJ shore. Get away for the day or for a weekend and let this guide help you plan your itinerary. 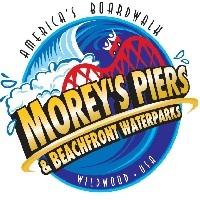 At Morey's Piers and Beachfront Waterparks you can find three kinds of Piers and two kinds of Waterparks. The Piers in this New Jersey Shore attraction is named Mariner's Landing Pier where you can enjoy an under the Sea Serpent Roller Coaster, another pier is Named Surfside Pier and the last Pier is named Adventure Pier. The two waterparks are namely Raging Waters Waterpark and Ocean Oasis Waterpark. In the Morey's Piers and Beachfront Waterparks you will definitely enjoy private family bonding or you can indulge in a refreshing summer vacation with your friends. No matter what you want to do, planning a visit to the Morey's Piers and Beachfront Waterparks is definitely a must. 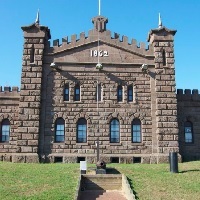 Twin Lights Historical Site is a very impressive lighthouse located at the New Jersey Shore. This attraction at the Jersey Shore is a huge twin lighthouse that rises for about 200 feet above the ocean. This twin lighthouse was activated in the year 1862. There are two separate lights which are connected by the huge building. The lights in this place are slightly asymmetrical. The view from the Twin Lights Historical Site's towers are breathtaking. However, you would not believe what they have got stashed in the Twin Lights Museum. They are adding awesome and new pictures every month as they catalogue over 150 years of the archival materials from their Lighthouse collection. 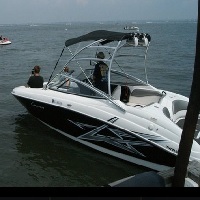 The Bayview Watersports Marina at the New Jersey Shore is offering services such as ski boating and parasailing. They are one of the best caterers of Marina services such as waterskiing, wakeboarding, and tubing. Anyone can experience their services, whether you are just a beginner or an expert in this field! Even the most tentative riders and the youngest ones can succeed! So no matter what skill you have at waterskiing, wakeboarding, and tubing you will definitely enjoy this experience with ease. Another service they offer is parasailing. The Bayview Watersports Marina has a very spacious boat for parasailing so you can enjoy a smooth parasailing experience. For an experience of a life time you should visit their website and check out the services you are interested in. 7th Street Surf Shop is a one stop shop when it comes to your surfing needs. This place is perfect for your Jersey Shore getaway. You want to try but you do not know how to surf? Well, worry no more because 7th Street Surf Shop is also offering group surfing lessons. This shop at the New Jersey Shore has been conducting surfing lessons for about 20 years now. As of the moment they provide group and individual surfing lessons everyday of the week during the summer months. The instructors at the 7th Street Surf Shop are very nice and would be happy to teach you how to surf. They have a lot of experienced instructors for you, so you'll be able to surf in no time. So if you've got plans to visit the Jersey Hhore, stop by the 7th Street Surf Shop. The Bay Cats is the perfect spot for your summer getaway at the Jersey Shore. They are offering kayaking, sailing and paddle boarding which you will surely enjoy. This New Jersey Shore Attraction is very cautious and takes care of their customers as they carry life jackets and paddles and a lot more for your safety. There are also Sailing Camps both for the adults and the kids. What's more interesting about the Bay Cats is that they offer sailboat rides and rentals. They also offer season passes for your paddle board and kayak needs. To know more about them, just visit their website or call them to inquire. When a place has beautiful scenery it is a must for someone to stroll and enjoy the ambiance of that place. New Jersey shore has a lot of beautiful views for you to enjoy. However, strolling the whole place might make you tired and exhausted. That is why 13th Street Bathhouse & Bike is offering bike rental services for you to enjoy the place. The 13th Street Bathhouse & Bike will help you explore the shore with ease. After exploring the shore you can head to 13th Street Bathhouse & Bike's bathhouse and enjoy their hot showers. There are a lot more facilities they cater to make your New Jersey shore visit more worth-while and a lot more convenient. Call them for more details. 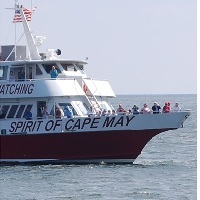 Whale watching is a must do while visiting Cape May, and the Cape May Whale Watcher was established to help you do this at the Jersey shore. Whale and Dolphin watching sure is fun and worth-while. If you go to the Jersey Shore to spend some time with a loved one then go visit the Cape May Whale Watcher. 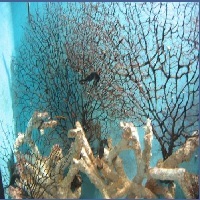 With their help you can have the most relaxing and most enjoyable trip of your life. The kids will surely love the dolphins. One of the best events at the Cape May Whale Watcher is during the sunset wherein you will feel like you are watching a fireworks display because of the stunning view. So if you want your Jersey shore adventure to be better, you should visit the Cape May Whale Watcher! Stormin' Speedboat Rides is Ocean City's best for all the speedboat rides and dolphin watching. In the Stormin' Speedboat Rides you can experience the excitement and fun of the Jersey Shore as you tour the place with your family and friends. Stormin' is a ride which can be enjoyed by all ages. They are also the leader and the best when it comes to dolphin watching. You can watch the adorable dolphins as they travel in pods and you can see them jump the wake of the Stormin' Speedboat Rides! 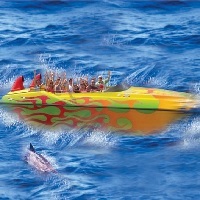 Stormin' Speedboat Rides offers a 14 passenger speed boat ride and a dolphin watch in Ocean City, New Jersey. They cover a lot of water during the 45 minute trips in the intercoastal waterway and the ocean. As the water gets warmer you will be able to see tons of dolphins. Visit The Clam Drain Now! Clam Drain is a game that has its roots in Ocean City, New Jersey. This game has been played for over 40 years now and is still being enjoyed by the tourists and the locals. How is the game played? The objective of the game is to toss, throw, hurl or sail the clam airborne to and down the drain. It is like horseshoes but with a hand molded, designer color and exact replicas of the genuine New Jersey Shore Clam shells. You would definitely want to play this. Finding four clam shells of the right size during the summers at the New Jersey shore is definitely not as easy as it seems. 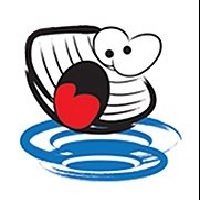 You should join the fun and visit the Clam Drain now! The Atlantic City Aquarium at the Jersey Shore was founded in the year 1976. It is functioning in a public-private partnership with the City of Atlantic City to specifically develop and operate the Historic Gardner's Basin. The purpose of this attraction at the New Jersey Shore is to provide people with waterfront recreational access. This place at the Jersey Shore also conducts marine education programs for different schools, youth groups and to the adult eco touring groups. They have a unique feature of the Historical Gardner's Basin as an attraction. A lot of boaters in the area often visit the basin because of its restaurant, the Crafters Village and a lot more fun amenities. If you are stressed from work and you know you need a day of relieving your stress, then you should not waste it on an ordinary vacation! 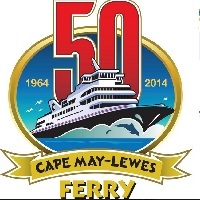 Have a blast and spend your day off at the Cape May - Lewes Ferry! Lewes Ferry is not just an ordinary ferry, you will definitely have a wonderful journey that you will surely never forget. Riding this ferry at the New Jersey shore you will be able to see the historic lighthouses, ocean going vessels, dolphins, unique seabirds and picturesque harbors. The ferry will take you on an 85 minute cruise between New Jersey and Delaware. So what are you waiting for? Visit them now! If you are visiting Ocean City, New Jersey then it is a must for you to visit the greatest family resort located in the area, the Pirate Voyages. This is definitely the attraction during your vacation. The goal of the Pirate Voyages is to deliver family fun that will be appropriate for all the children of all ages. 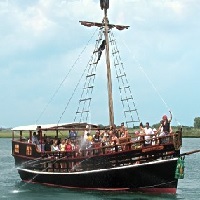 The professional Pirate Crew will assist you and they are very committed to entertain the whole family. The Pirate Voyages have a custom made pirate ship named Sea Dragon. The boat was built in Tuckahoe, New Jersey by the Yank Marine. Pirates of all ages will definitely enjoy the boat ride. So hurry and visit them now, a reservation is a must so better visit their website first. Explore The New Jersey Shore With Watts O Fun! 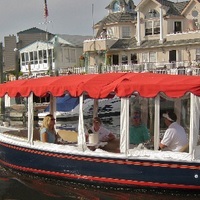 Watts O Fun is providing boat tours in the southern part of New Jersey. You should definitely come aboard their electric boat and see the beautiful sceneries of the beautiful bays of Ocean City, New Jersey. If you think that this must be just an ordinary boat ride, well it is not. Watts O Fun is offering a not so typical boat ride. The boat ride is very relaxing which will help you release all the stress you are experiencing from work. The Watts O Fun will provide you with relaxing cruises, intimate trips or even a fun cocktail cruise with your group of friends. Visit their website now for more information! 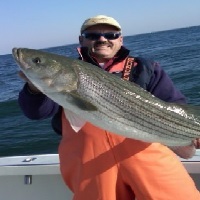 Take advantage of the best saltwater fishing at Jersey Coast with Fish Tales. FishTale Charters will help you and serve you with all your fishing needs. Being at the FishTale Charters is an experience that should be bragged about. You will be guided by Captain Craig Peters for your fishing experience. So if you are tired of just swimming at the beach or doing some beach sports then fishing with the Fish Tales would not be a bad idea! Although before experiencing the FishTale you will have to follow some of their policies, to know more about the FishTale, visit their website. 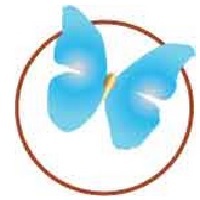 The Butterfly Boutique in Ocean City, New Jersey aims to satisfy everyone who visits their place. Whether you are visiting the New Jersey Shore as a couple, family, friends or even when you are just touring the shore alone you will definitely have a great time shopping at the Butterfly Boutique. There are a lot of stuff you could not resist to bring home! If you are not able to go visit their shop at the Jersey Shore do not worry, because they do have an online shop to serve the enthusiastic customers. For more information, visit their website. 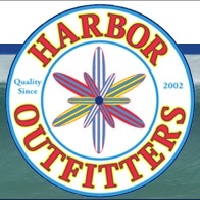 If you want to do more than just see the New Jersey shores, then the Harbor Outfitters in Ocean City is the best place for that. The Harbor Outfitters at the New Jersey Shore don't want you to just see the beautiful sceneries at the Shore, they also want you to experience them. Brace yourselves and explore the shore of New Jersey with Harbor Outfitters' kayak tours, splash and catch waves. 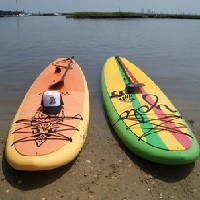 What's great about the service of Harbor Outfitters is that you can have your own private stand up paddle board lesson. 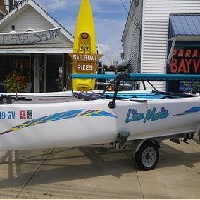 Choosing the Harbor Outfitters for your rentals will help you see the best of New Jersey in a new and exciting way. 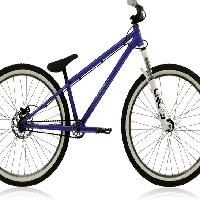 They also offer bike and electric car rentals. Visit their website now for more information. If you are a fan of Stand Up Paddleboarding then FCA Surf is the best place for you. But if you are not then it's time for you to learn Stand Up Paddleboarding or SUP because it is a great sport for your body and offers everyone a great work out that will help you tone down your body. It will help you develop arm and shoulder strength. The sport will also help you strengthen your legs and your core which will help you balance. Every summer this has always been the past time of a lot of people and you should join them too! It's fun! FCA Surf will help you in everything you need. There will also be a certified SUP instructor that will guide you, so hurry up and visit FCA Surf now! If you want to learn one of the coolest and fastest growing sports in America then the OC Paddleboard will be the perfect place for you. This place at the New Jersey Shore has everything you need about learning Kayaking. At the OC Paddleboard you will experience a SUPer Ride! The Stand Up Paddling which is also known as SUP which originates from the beautiful island of Hawaii has quickly taken over the East Coast. You actually don't need to travel to the Pacific to have a great time because OC Paddleboard will give you all you need. Whether you just want to enjoy a quiet cruise along the shore, have fun with your family or surf the ocean, OC Paddleboard will serve you all that, so what are you waiting for. Visit them now. 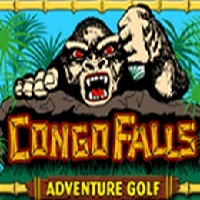 Congo Falls Miniature Golf is offering three 18 hole golf courses that are filled with some water falls, entertainment and suspense. These three golf courses are called Solomon's Mine, The Lost City and the Congo Queen. One of these courses is 100% indoors so if you prefer playing indoors you won't have a problem. One of the other courses is air conditioned and the other one is for adults only as it is rated R themed. The Congo Falls Miniature Golf is located at the boardwalk between 11th and the 12th streets. Don't worry, this will be fun for all ages so hurry up and join the fun at the golf course at the Jersey shore. 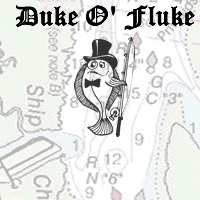 Sail With Duke O Fluke Now! The Duke O Fluke is a New Jersey fishing boat that sails from Higbee Avenue in Somers Point, New Jersey. There are two trips daily, one is at 8 am and the other one is at 1 pm. You can fish the back bay areas for bluefish, sea bass, flounder and weakfish. Fishing and the evening charters are available as well as a narrated nature tour provided by the staff of the Duke O Fluke. The private charters and the other circumstances sometimes affect the availability of your preferred trip so the Duke O Fluke recommends you call them prior to the day you will be coming. They can be reached at the number provided on this listing.